The mission of the Music Ministry is to draw people into heavenly worship of the Father with music and musicianship empowered by the Holy Spirit, through Jesus Christ our Lord. Who we are: We are dedicated group of volunteers of St. Thomas the Apostle Parish who make a special time commitment to rehearse weekly and participate at the weekend liturgies serving the Lord and our community trough singing and/or playing an instrument. St. Thomas the Apostle Music Ministry consists of two choirs: the Motet Choir and the Contemporary Choir. 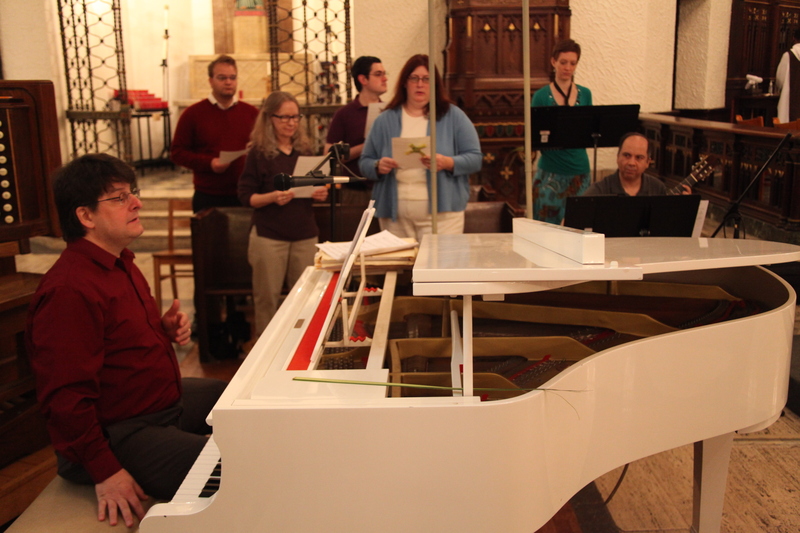 All the choirs work together for the Easter Triduum and Christmas celebrations. The Contemporary Choir is a piano and guitar based ensemble with a repertoire consisting primarily of songs by leading composers of “folk” style liturgical music, augmented by songs from the African-American sacred music tradition and traditional hymns. Requirements: This is an invitation for anyone who has a gift for singing and/or playing an instrument and willing to give the time commitment. Time Commitment: The STA Contemporary Choir sings at the 11 p.m. Mass on Sundays, and rehearses on Wednesday Evenings, 7 p.m. – 8:30 p.m.